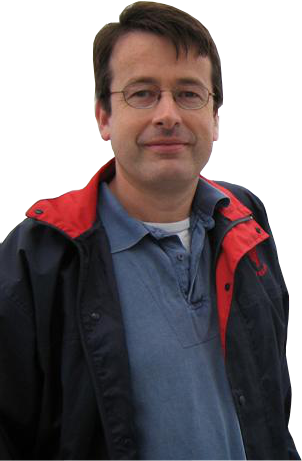 John Billingham (jbpatzer) is a 46-year old Professor of Theoretical Mechanics. Although this sounds rather grand, it just means he’s paid to try to write down mathematical models for just about anything, and also has to teach students some mathematics. He’s also keen on games, particularly chess, which he plays to a reasonable standard, and has a long history of playing cards for pennies and/or Liquorice Allsorts. After getting hooked on poker, as far as he’s now concerned, The King of Games (if you want to know the best move in a chess position, ask a computer, if you want to know how best to approach poker, throw your computer in the bin and ask Manu and TwiceT) he discovered that he was a huge fish. The Education of a Modern Poker Player documents his progress, under TwiceT and Manu’s expert guidance, from fish to not quite as much of a fish. JB lives near Oakham with mrsjb and their three children. His hobbies include shouting, complaining and, thanks to his exposure to the internet generation, facepalming. When he grows up, he wants to play more poker and gradually phase out his other hobbies.